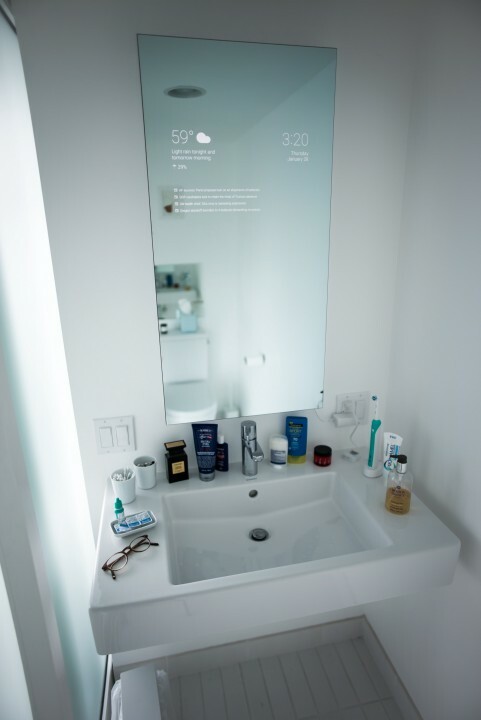 Googler Builds Android-Powered Bathroom Mirror! | Android News at HighOnAndroid.com! Googler Builds Android-Powered Bathroom Mirror! 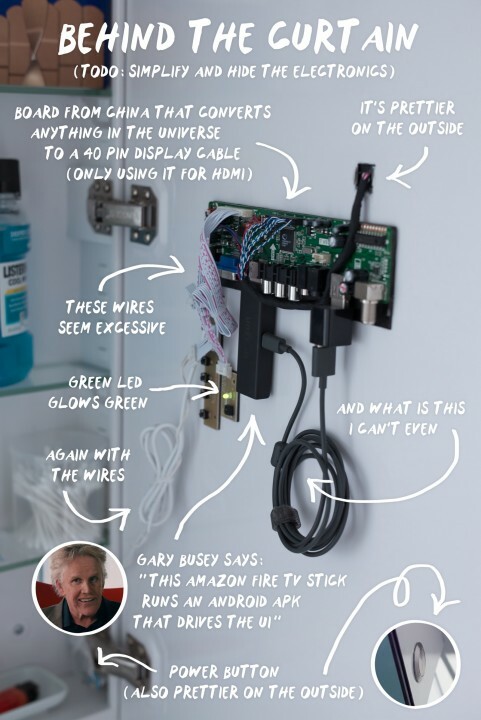 In one of the coolest DIY projects I’ve seen lately, Googler Max Braun designed his own Android-powered bathroom mirror. The materials themselves were easily acquired components, including a two way mirror, display panel, controller board, and other various odds and ends. Powering the whole thing is an Amazon Fire TV Stick, for the time being anyway. The Googler mentions he experimented with both a Chromecast as well as a Nexus Player before settling on the Fire stick. For now, the display only gives weather, news headlines, and the time. In future iterations the hope is to bring information for anything that has a Google Now card. The photos below show the finished product in polished form, along with the rather messy implementation behind the scenes. I definitely think this is something Google could sell to the public, let’s hope this isn’t the last we see of this project. 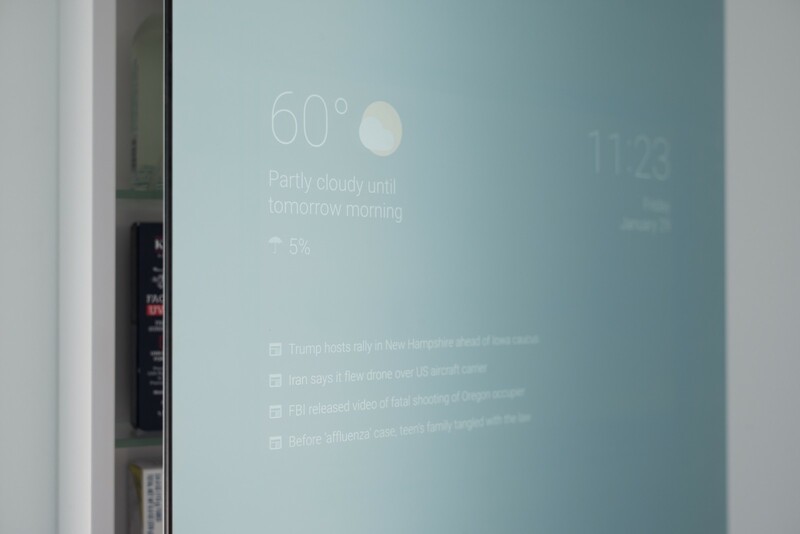 Anyone else want a Android mirror in their bathroom? Next story OnePlus X vs Honor 5X Speed Test and Benchmarks! Previous story Honor 5X Full Video Review! Budget Phone King!